I HAD BEEN IN FRANKFURT three hours when I met up with my friend and host. Have you seen the Old Town yet? she asked. I said I had. And the church? Yes. And the other church? Yep, that too. And the River Main? Well, sure, I said; it’s just down the street. 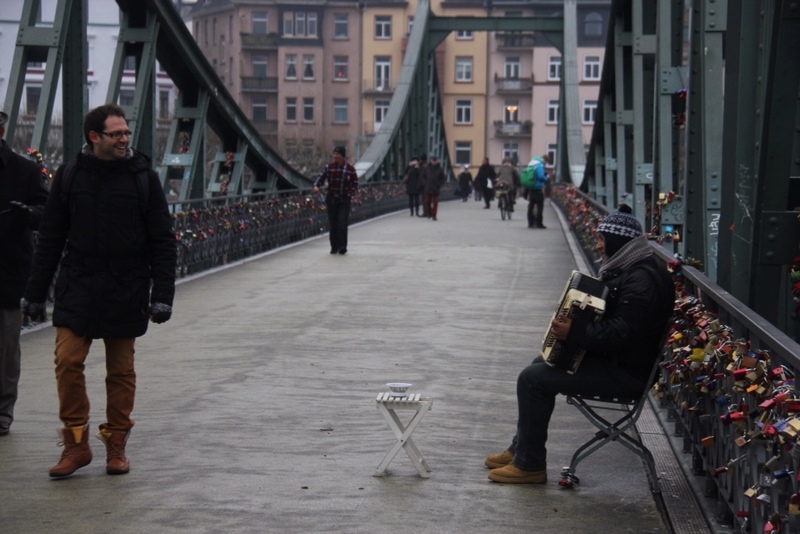 Berlin is a young-person city, and Frankfurt is decidedly not. Frankfurt (which, to be clear, is properly called Frankfurt on the Main [pronounced like “mine”] and not Frankfurt the small and lonely township in northern Germany) is famous for two things: the central Euro bank, and the Frankfurt airport, one of Europe’s most significant international hubs. Frankfurt is one of the world’s largest transit cities. When I flew home from Budapest, I stopped in Frankfurt both ways. Its airport is gargantuan and transferring takes the slower part of a half-hour. Walk through the pleasantly gloomy park along the Main River and you will hear an airplane overhead every five minutes. Its train station is also a major hub, connecting Germany with France and Luxembourg and the rest of western Europe, not to mention all the gems of the German countryside: the dense Black Forest, Heidelberg’s famous castle, the Reine River of Mainz and all the delightfully kitschy Christmas markets in between. 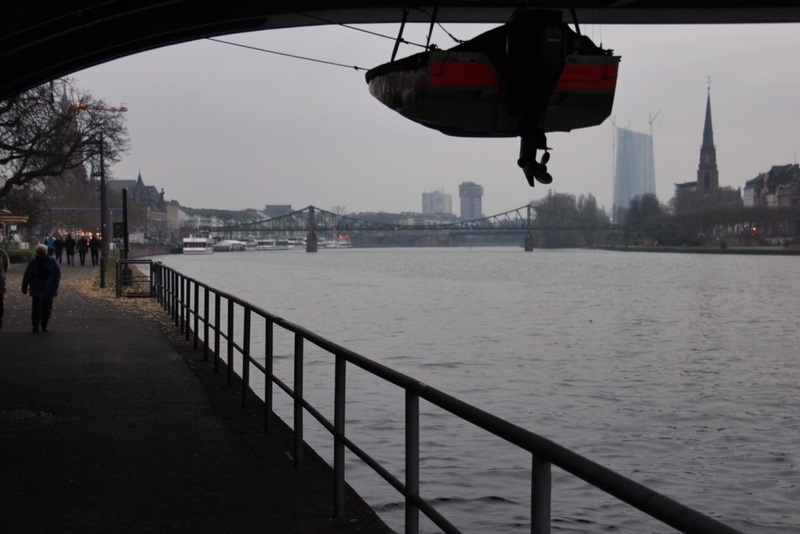 My friend arranged a small group of us to traipse to Wiesbaden and Mainz in a day. 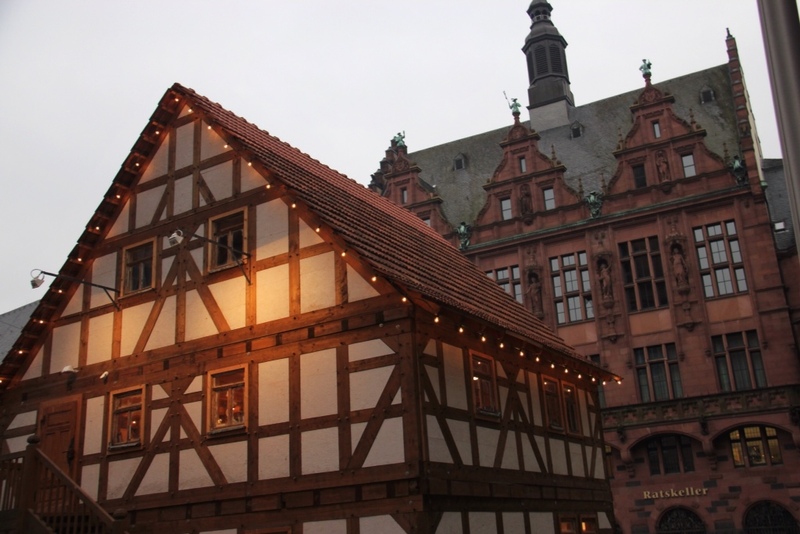 Both are charming and neither exceptional, unless dignified red-brick churches and small-city Christmas markets are your thing, in which case they’re absolutely heavenly. We shared a mug of feuerzangenbowle, a festively alcoholic drink made from sugar melted into rum and seeped into mulled wine, and ate thick sticks of wurst and heinously oily potato pancakes with apple sauce. 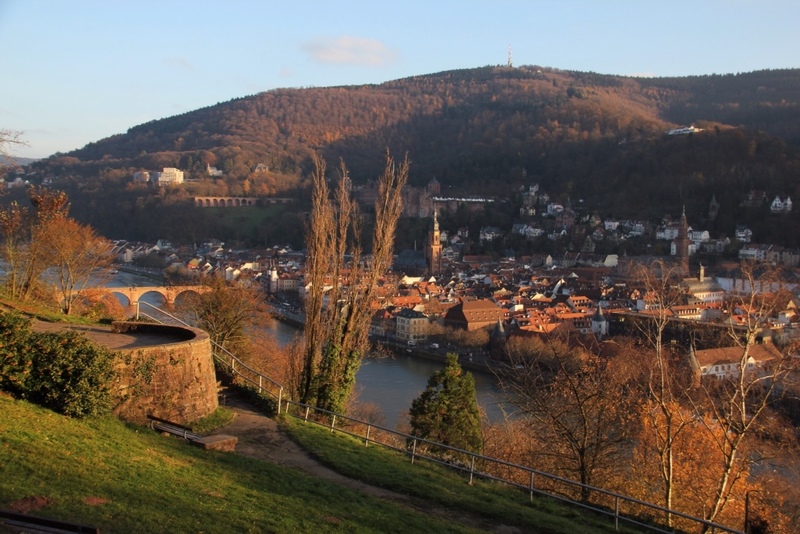 Heidelberg, only an hour away from Frankfurt and way, way nicer. The analogy is clear: if you are young and not in Berlin you have no heart, and if you are old and not in Frankfurt you probably have no money.